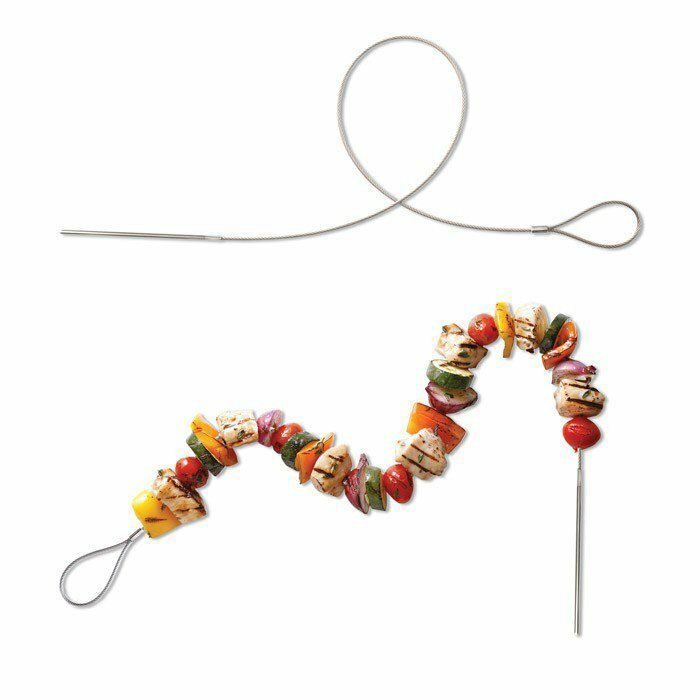 This skewer is as simple as it is innovative. 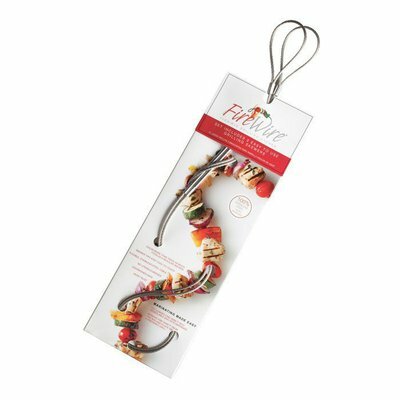 Composed of an extra-flexible 3mm diameter stainless steel cable that is safe for food, with a loop on one end that is sealed with a stainless steel clip (crimped in the factory, no risk that it will come undone), and on the other end a stiff, rounded point, also factory sealed and crimped. 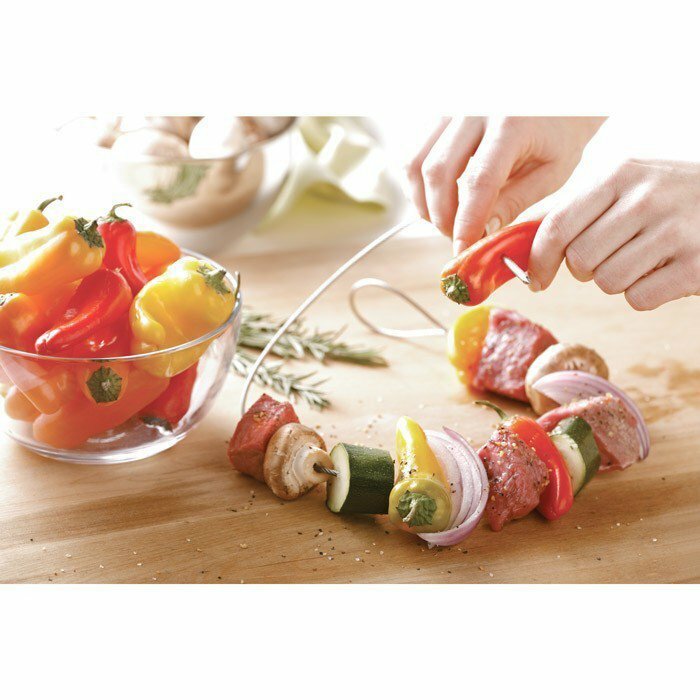 The point (if you can call it a point) is much less sharp than usual so you can safely skewer your food without skewering your fingers, nor will you need to worry about the little ones hurting themselves. 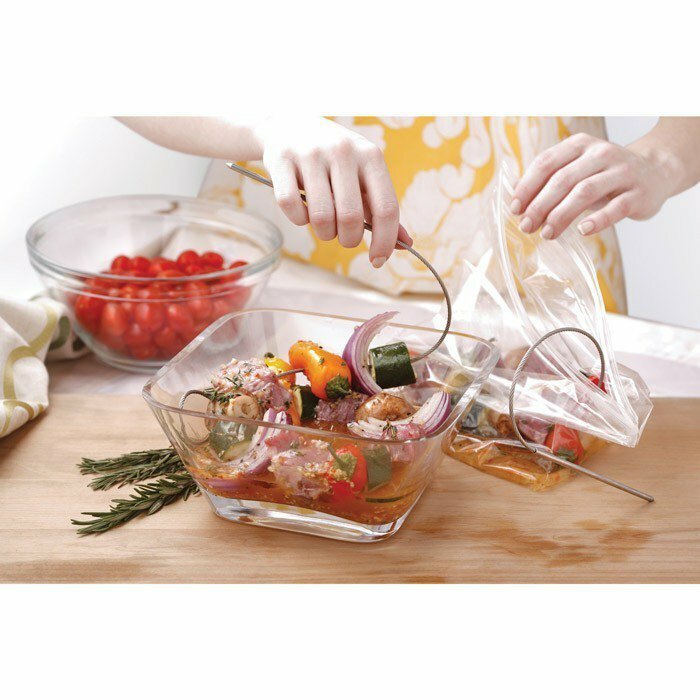 Before you start, wash your flexible skewers by hand or in the dishwasher with dishwashing detergent. 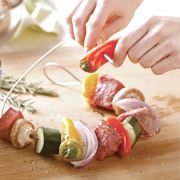 Skewer your meat and/or vegetables with the stiff point, then slide them down the cable. 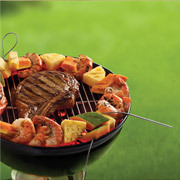 Attention: different foods require different cooking times. 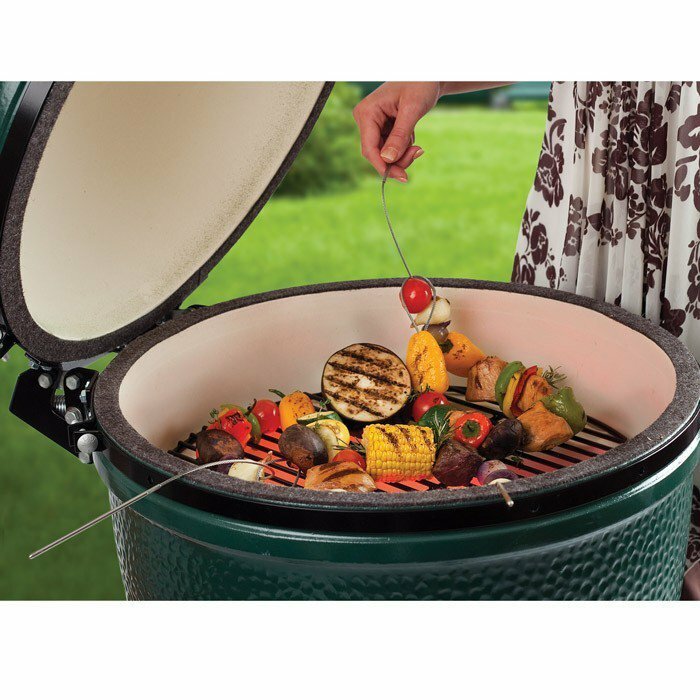 Using a mix of different meats and vegetables requires a certain amount of expertise. 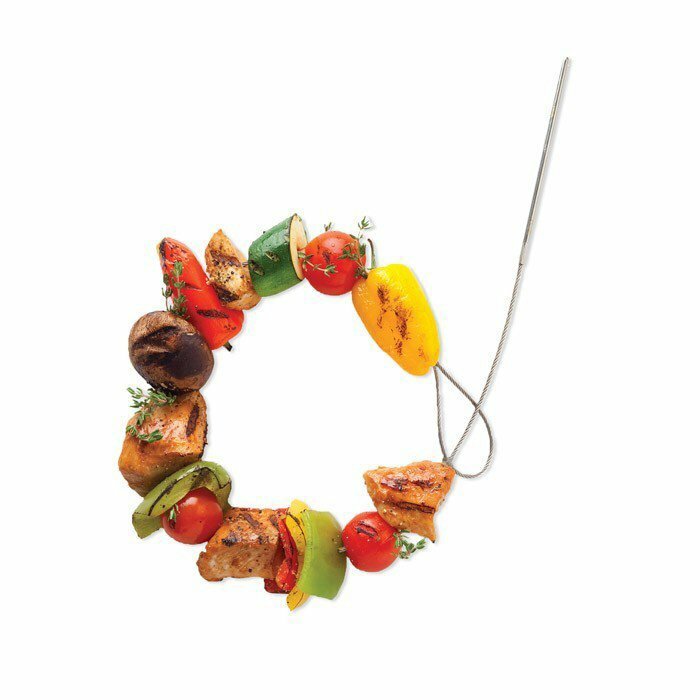 If you are unsure, use just one type of meat on one brochette and put the vegetables on another. 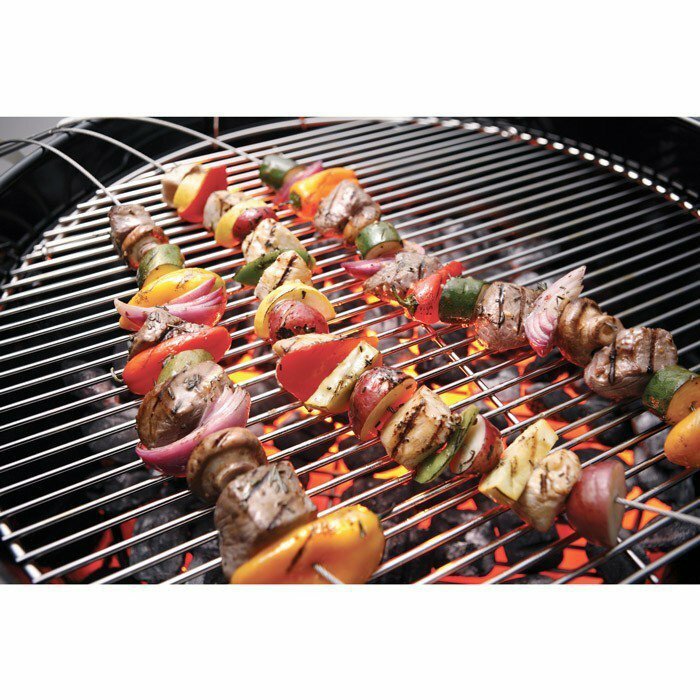 Marinate (or not) your brochettes according to taste and your recipe. 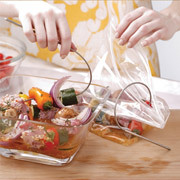 You can use a freezer bag, a bowl, a plastic box, or any plate, your brochette will adapt! 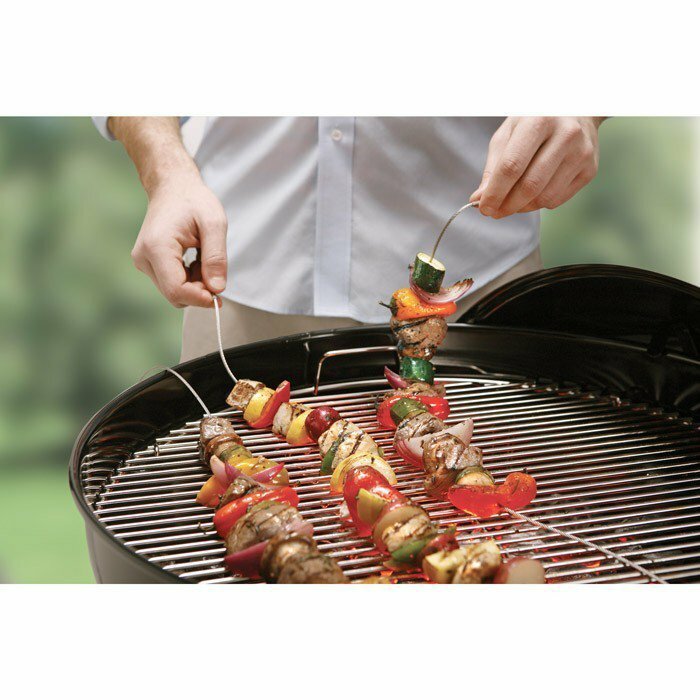 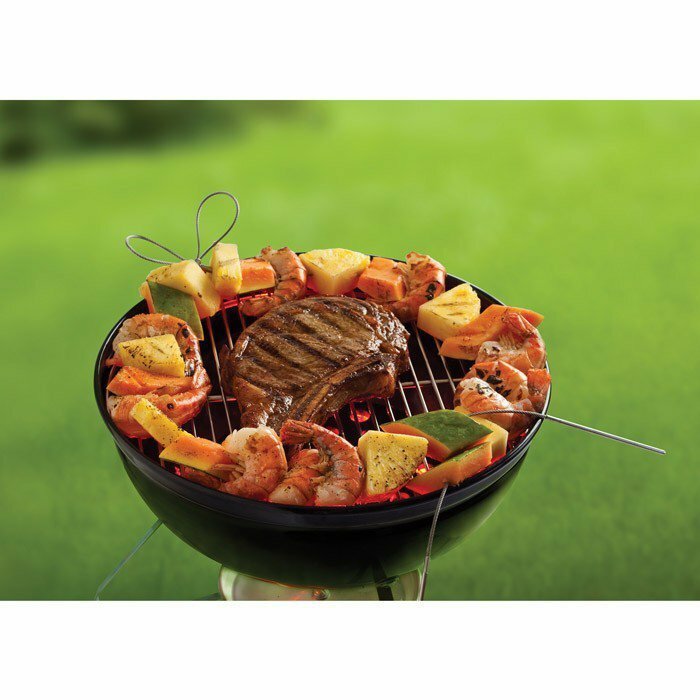 Place the brochettes on the grill, keeping the rigid point away from the heat: this way you can use the point as a handle to move the brochette around. 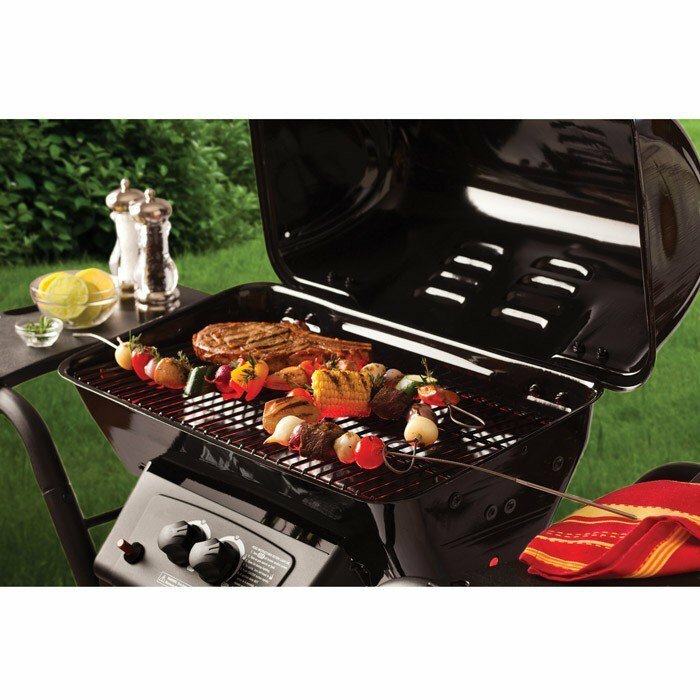 original - because the male of the species is often very, very proud of his barbeque (or his plancha), here is a good way to satisfy your man's primal urges!